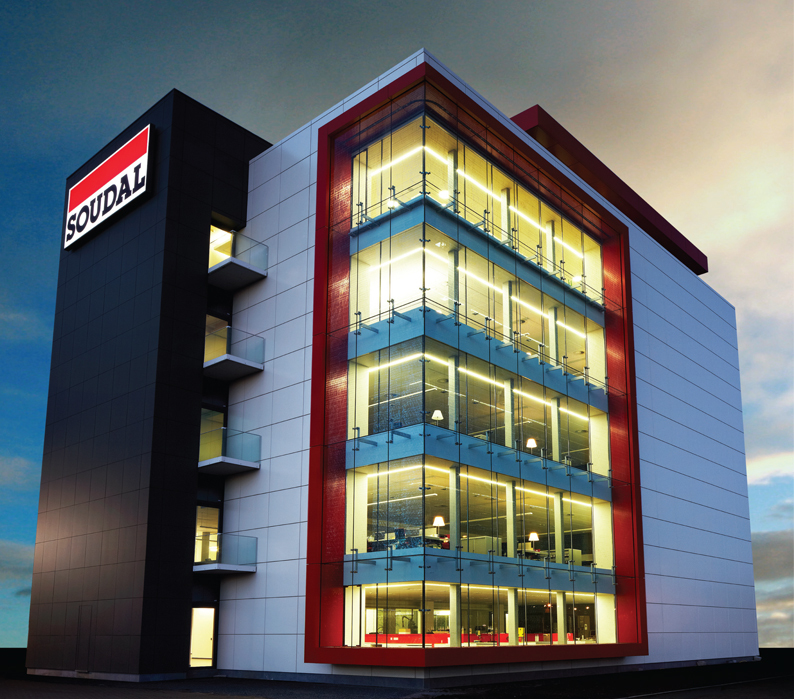 Soudal is Europe’s leading independent manufacturer of sealants, PU foams, and adhesives. Established 1966 in Belgium, Soudal has since grown to become a global brand with 12 manufacturing sites on four continents and over 40 subsidiaries worldwide, serving end-users in over 130 countries. Soudal has a portfolio of a few hundred different chemical products, ranging from silicone sealants to technical aerosols. In addition, Soudal is the pioneer for many new chemical technologies – such as the development of Flexifoam and isocyanate-free one-component, self-expanding foam. For more information on the full range of Soudal products, you may visit the International version of the Soudal website or go to the global site www.soudal.com. Soudal is represented and distributed exclusively by PFE Technologies Pte Ltd in Singapore. PFE Technologies serves a wide regional network of distribution channels and professional end-users with a range of high-quality Soudal construction chemicals. With a focus on high-tech, environmentally friendly construction products, Soudal and PFE Technologies leads the way in construction technology with high insulation efficiency PU foams and new-generation MS Polymer sealants and adhesives. 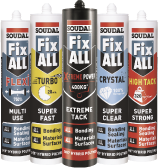 The four main product groups for the Soudal range carried by PFE Technologies are silicone sealants, PU foams, MS polymer Fix All sealants and adhesives, and PU sealants and adhesives. As Soudal’s exclusive distributor in Singapore, PFE Technologies supports Soudal in stocking, distribution, technical support, and customer service. In 1966 Mr Swerts bought a small company based at the Ossenmarkt in Antwerp and specialised in welding materials and the production of polyester putties for the car body repair. After two years the company moved to Turnhout, at the former market of Mr Swerts’ parents. Mr Swerts invested heavily in a sophisticated vacuum mixer for the production of polyester putties and high quality silicone sealants. 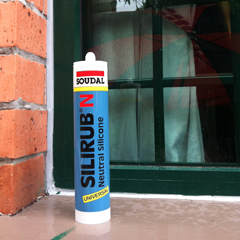 The first year in Turnhout, production output of silicone sealants was 5,000 cartridges. Since then the company has grown from a small family business to the multinational corporation it is today. In 1997 Soudal (Asia) Pte. Ltd. was incorporated in Singapore, Soudal’s first move into the Asian market. Also in 1997, Soudal concluded the acquisition of the Finished Building & Construction Silicones department of BAVG, a wholly owned daughter company of Bayer AG in Leverkusen. This acquisition covered all real estate, plant and equipment, staff and customer base. Germany is Europe’s largest sealants and PU foam market and the acquisition gave Soudal a strong foothold in it. Almost immediately construction works started to double production and warehouse capacity. Soudal Leverkusen moved to these new premises in the summer of 1999. In 2010, Soudal took further strides into the Asian market, acquiring the Chinese PU foam production company Taicang Shijia Industrial Co., Ltd., as well as entering a joint-venture in India with the McCoy group under the company Soudal McCoy. In 2011, Mr. Vic Swerts wins Entrepreneur of the Year award in Flanders, organized by Ernst and Young. This award recognizes successful Belgian companies for their outstanding growth and sense for innovation, entrepreneurship, strategy, sustainability and management. In 2014, Soudal acquires majority share of the Australian importer Soudis and renamed it Soudal PTL LTD, making it the 44th Soudal branch worldwide. In the same year, Soudal acquired Accumetric of USA, an independent manufacturer of silicones, sealants and lubricants in Elizabethtown, Kentucky, with its widely recognized brands Boss®, Dynatex® and CPI®. For more than 40 years Soudal has offered more than just “a product that does the job”. Quality, tailor made solutions and a premium after sales service: those are the elements that make the company into a true success story.